As some of you may know my day job is in visual merchandising for a major retailer. We recently got in two colors of a faux fur vest and everyone, employees and customers alike, have been asking me how to wear it. 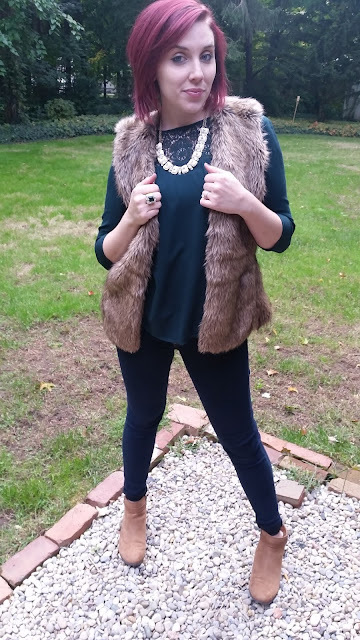 The faux fur vest is a trend I have wanted to try for many seasons and I finally made the purchase when we received it in our store to add to my wardrobe. 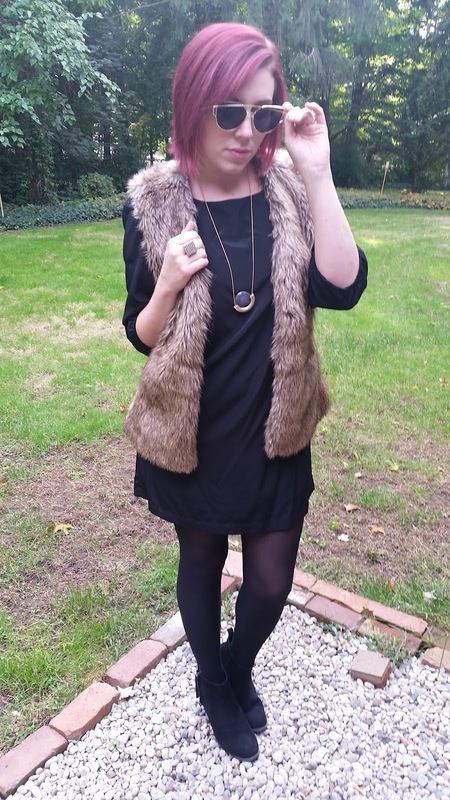 I took a look to see how I could incorporate the vest into my fall wardrobe. Here are three looks I came up with and I hope they help you get inspired to try your own looks with a faux fur vest. 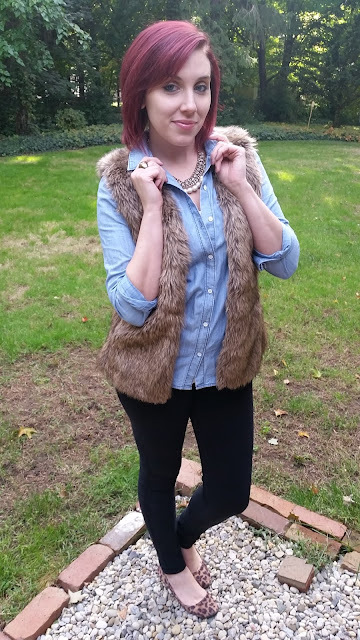 First Look: Black Skinny’s and a Chambray shirt- I have also seen this same look but with a plaid flannel and cute fall boots, another option when styling your vest. 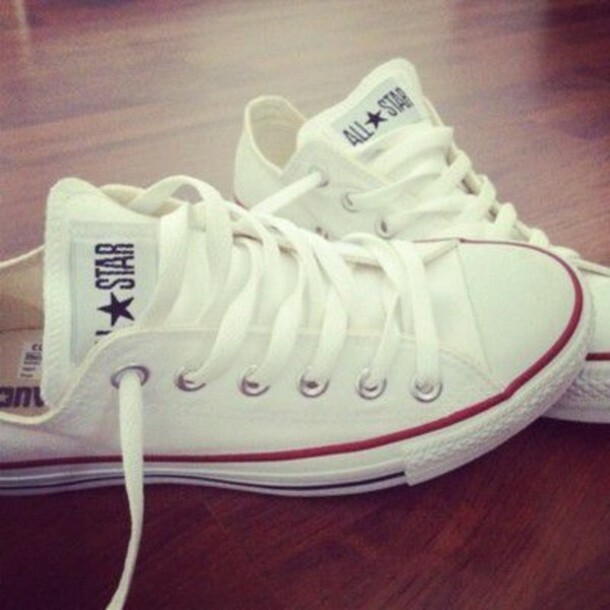 Every girl has one vise in life some like handbags or make-up, my one true love is shoes. I own them in all shapes and colors. I even have a whole walk in closet just for my shoes. Unfortunately the footwear I lack is tennis shoes. I have one pair of Nike’s for working out and that’s it. By day I’m a visual merchandiser for a major retailer, in order to do my job I have to make sure my feet are covered. I’ve found it difficult to style black and pink Nike’s so I decided to purchase my first pair of Converse low tops. A couple weeks after purchasing them I came across an InStyle article showing that you can wear Converse with anything and I got inspired. Over the past week I decided to test the InStyle article and wear my Converse all week with various outfits. I must admit it made my job much easier and I was able to look fashionably chic while wearing tennis shoes! Check out my inspiration and my five looks below! 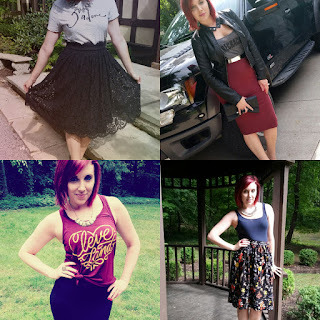 Midi Mayhem: Four Ways to Wear a Midi Skirt! A Midi Skirt is a versatile piece. This item comes in all shapes, colors, and patterns. I have a midi pencil skirt, one in lace, and one in a fall floral pattern. For those of you who frequent my blog you have probably noticed my black midi pencil I have worn in several blog posts and on my Instagram. 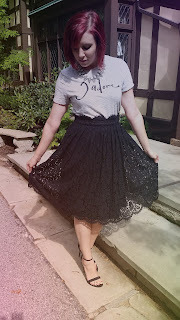 I was so in love with my simple black one, I decided to expand my midi skirt collection and share with you four ways to rock a midi! 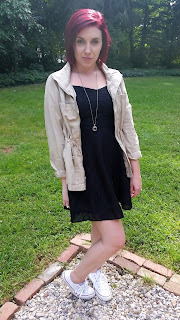 All summer long I’ve been sporting my black midi with a knotted tank. 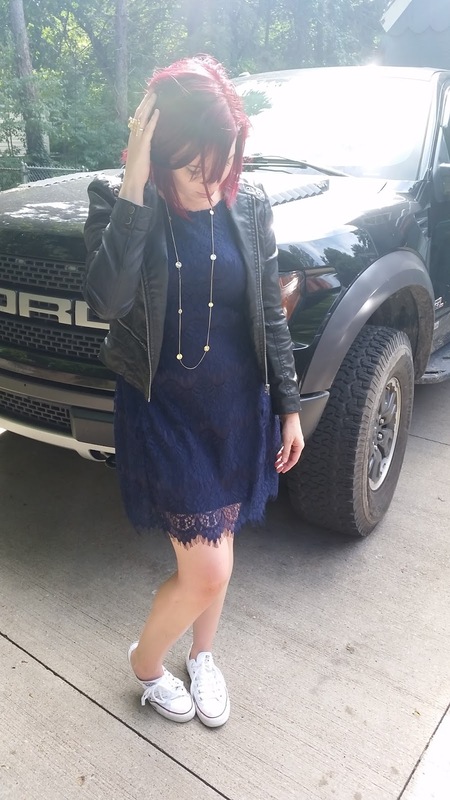 Everyone always comments on how dressed up and put together I look. The best part about my first outfit is it is super easy and perfect for a hot summer day. My first outfit gives the illusion you put forth way more effort than you actually did. 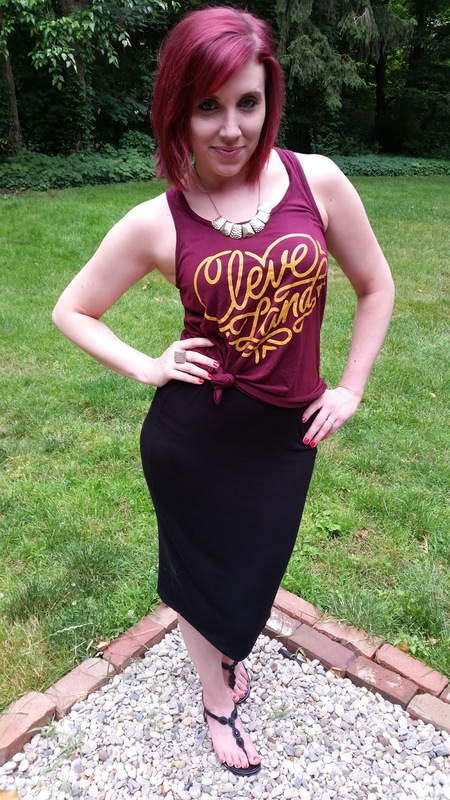 When it’s hot outside I like to keep it simple and with this stretchy black knit midi and a fun graphic tee its easy. Try this look and you can be comfortable and effortlessly chic just like me. I love my black midi so much I obviously had to purchase one in another color! This maroon midi is perfect for fall and continuing with my effortlessly chic style I paired it with a graphic tee, bold belt, and my leather jacket to create a simple going out look! 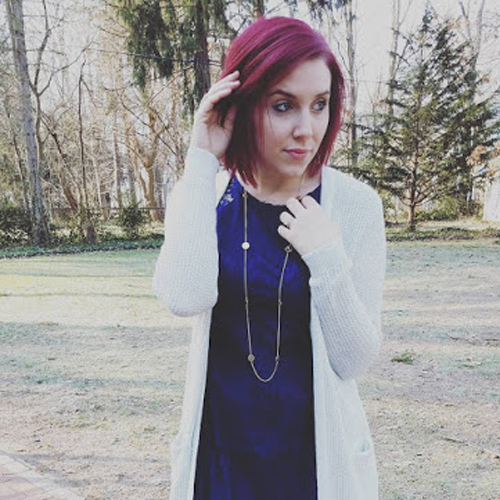 My knit midi’s are perfect basic pieces. The floral midi I just purchased is a perfect transition piece from summer to fall. 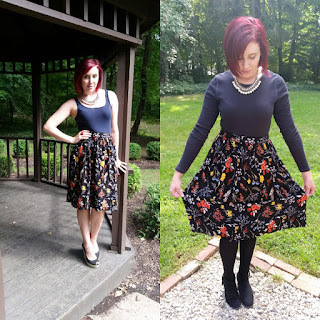 The flowers give it a summer feel but the jewel tone colors are perfect for fall. I’ve cheated a little with this next midi by showing you two looks. I wanted to show you how you can transition it with the changing seasons. The first look is the floral midi paired with sandals and a tank. 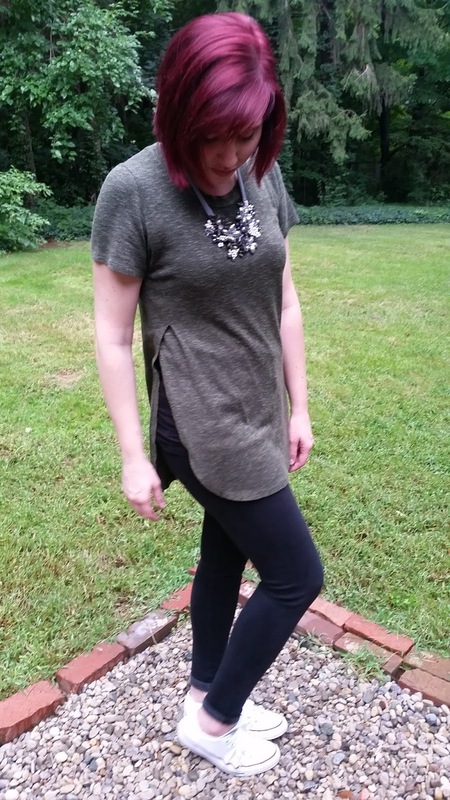 The second one is an easy transition with boots and a long sleeve tee. 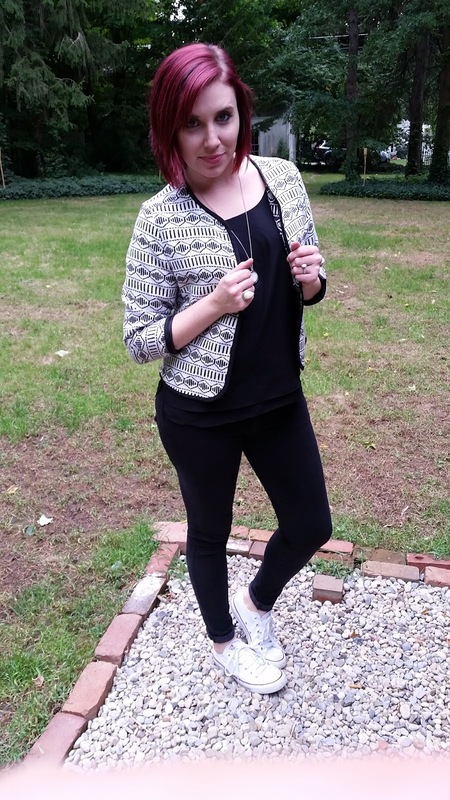 Don’t forget to add a statement necklace and this outfit can bring you from summer to fall in a snap. I had to have this next midi when I saw it on the rack. It’s the perfect midi to dress up any look. 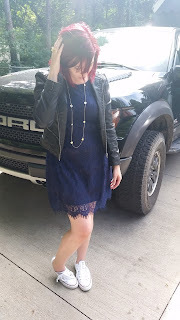 I paired it with some strappy heels and a graphic tee and wore it to a rehearsal dinner. 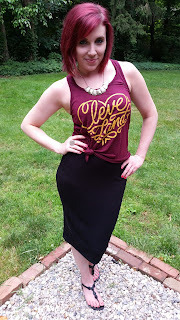 A midi skirt that can make a graphic tee formal is worth the purchase. I hope you feel inspired with Midi Mayhem and try some of my looks as well as your own this season with this awesome versatile piece. 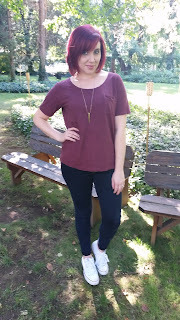 For more midi looks and other fashion highlights visit Styled By Stacy on Instagram @styled_by_stacy and like us on Facebook at http://www.facebook.com/styledbystacy . Be sure to share and like our pages!